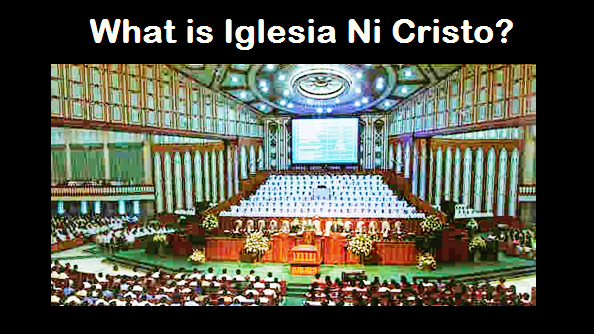 THE IGLESIA NI CRISTO: Who is the 'Mighty God' mentioned in Isaiah 9:6? The “Mighty God” mentioned in Isaiah 9:6 is the “Everlasting Father.” The “Everlasting Father” is NOT the Lord Jesus Christ for He Himself declared that “My Father is greater than I.” Therefore, the Lord Jesus is not the “Mighty God” referred to in Isaiah 9:6. If the Lord Jesus Christ is the “Mighty God” mentioned in Isaiah 9:6, but the Mighty God Himself declared that He has a Son (He Himself said, “This is My beloved Son, in whom I am well pleased”), and the “Son” the Mighty God referring to is Jesus Christ (the Bible declared, “You are the Christ, the Son of the Living God”), then there will be two “Jesus” – the “Mighty God” and the “Son of the Mighty God.” Thus, it is wrong to say that Jesus is the “Mighty God mentioned in Isaiah 9:6. It is worthwhile to note that one's state of being is not necessarily determined by the meaning attached to his name, much less by the meaning of the title of the government or authority he holds. Simon the Apostle was named “Cephas” or “Peter” which means rock (John 142). However, it doesn’t mean that Peter is himself a “rock”. Thus, it is clear that “Pele-joez-el-gibbor-abi-ad-sar-shalom” is the “name” or the “title” of the authority or government, and, as Jewish scholars put it, the “throne name” which “does not describe the child or attribute divinity to him” but, as another scholar puts it, “descriptive of his (Christ) office” given to Him by the Father (cf. Matt. 28:18; 11:27). (a) the “Mighty God” in Isaiah 9:6 is also the “Everlasting Father”, while the Lord Jesus Christ Himself explicitly said that “My Father is greater than I”; (b) the Bible explicitly said that Jesus Christ is the “Son of the Living God,” so if Jesus is the “Mighty God” in Isaiah 9:6, then there will be two “Jesus Christ” – the “Mighty God” and the “Son of the Mighty God”; (c) Isaiah 9:6 said, “And HIS NAME will be called Wonderful, Counselor, Mighty God, Everlasting Father, Prince of Peace,” and not, “And HE IS the Wonderful, Counselor, Mighty God, Everlasting Father, Prince of peace”; (d) the “Mighty God” mentioned in Isaiah 9:6 is just a part of the “one long name”; and (e) one's state of being is not necessarily determined by the meaning attached to his name, much less by the meaning of the title of the government or authority he holds. Thus, Isaiah 9:6 doesn’t prove that Christ is the “Mighty God” but that His “name” is called “Wonderful in counsel is God the Mighty, the everlasting Father, the Ruler of Peace,” the “title” of His authority or government as rendered by Moffatt, the “throne name” which “does not describe the child or attribute divinity to him”as Jewish scholars put it, and “descriptive of his (Christ) office” given to Him by the Father as another scholar puts it.